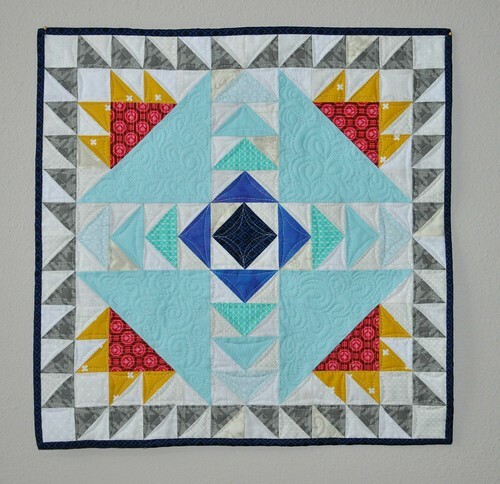 Over the last couple months, I participated in the latest Schnitzel & Boo miniquilt swap on Instagram. My favorite thing about doing these swaps (I don't do them very often) is the challenge to make something the recipient will really enjoy. 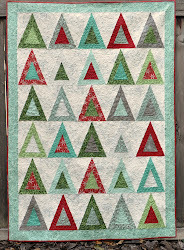 Also, I've been participating in the Quilt Design A Day group on facebook for a few months. I do not do a design every day, but I've posted over 50 designs to the group since last August. I ended up making one of my QDAD designs into an actual quilt for this swap. 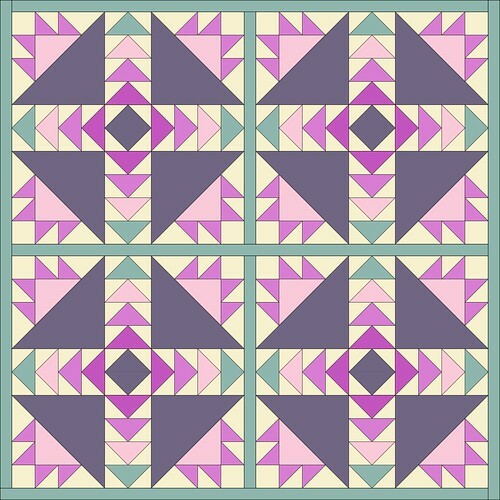 I started with the cross and crown quilt block and changed it up, adding flying geese rows down the vertical and horizontal centers, and changing the corner units to a sort of bear paw shape. The QDAD group has a suggested palette each day and that's where these colors came from. 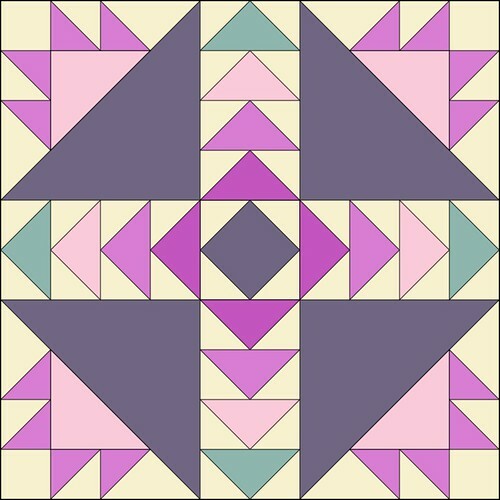 I wanted to make my mini with just one of these complex blocks, so here's what I posted to IG when I was considering this for my mini quilt design. I've started another one just like it for me to keep. 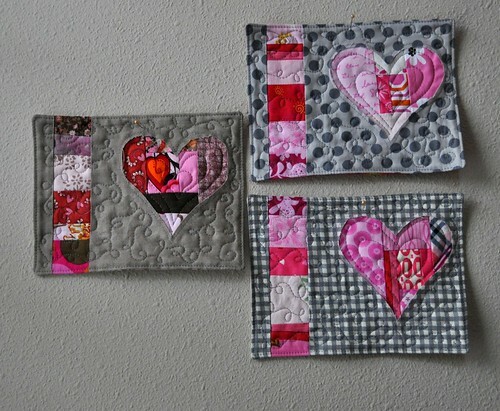 I turned and topstitched the edges instead of binding such small quilts. And, last week I made a 12th man quilt;go Seahawks! 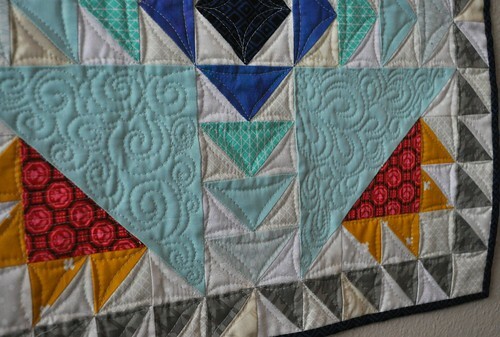 I loved scrolling from your turquoise and gray pattern to the next pic of the actual quilt. Wonderful! 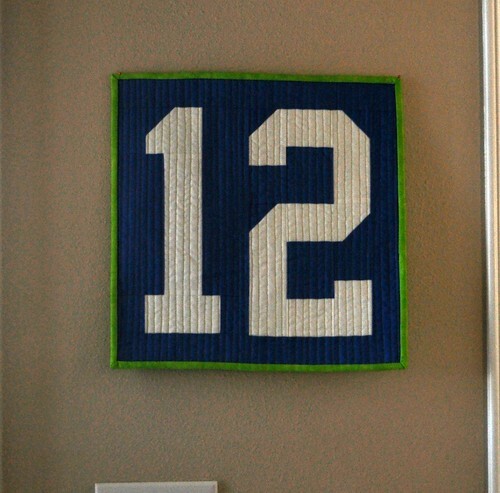 And of course, your 12th Man quilt ... did you make up a pattern for it? Go Hawks! 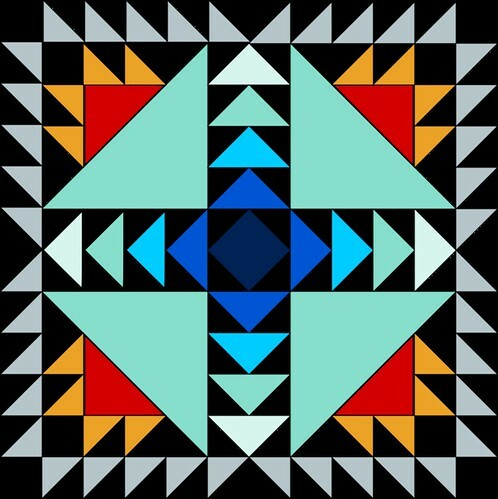 I'd love to have the 12 pattern. Do you have it somewhere to purchase? Donna, the pattern is free (actually it's a diagram and cutting instructions) and I'll email it to you if you send me your email address. You can email it to me thru the blog or contact me on instagram @vickidjl.